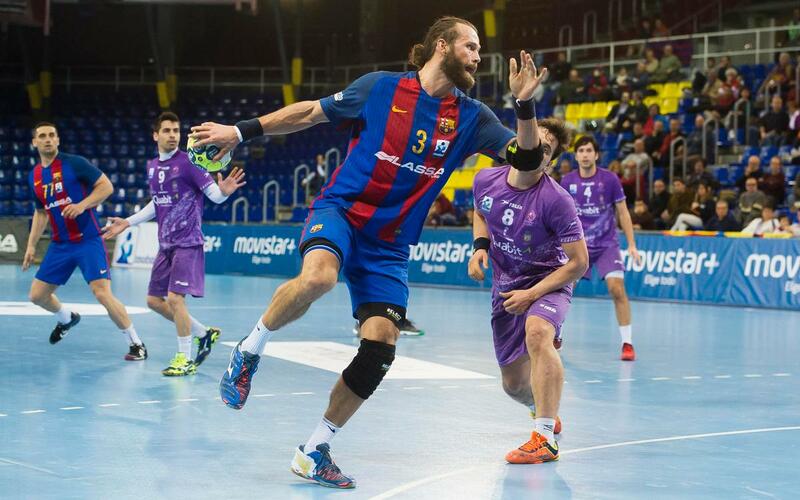 FC Barcelona Lassa handball racked up their 108th consecutive win in their first match at the Palau Blaugrana since 7 December, defeating Quabit Guadalajara 32-21. As well as adding to that incredible win streak, it was also Barça’s 700th win in Liga Asobal. Evidently keen to be back at home, Barça began in blistering fashion, going 6-1 ahead in the first six minutes. That momentum did not cease throughout the first half, as the likes of Lasse Andersen and N’Guessan enjoying themselves in front of goal to give the hosts an 18-9 lead going into the break. The visitors’ best spell came at the start of the second period, as they managed to reduce the score to five (20-15) nine minutes in. Nevertheless, Barça reacted well at both ends of the field, taking the next five goals and thus increasing the lead to ten in their favour. Andersen, with a fine strike, as well as another from Valero Rivera set Barça on their way to an eventual 32-21 win in Week 17 of the league.